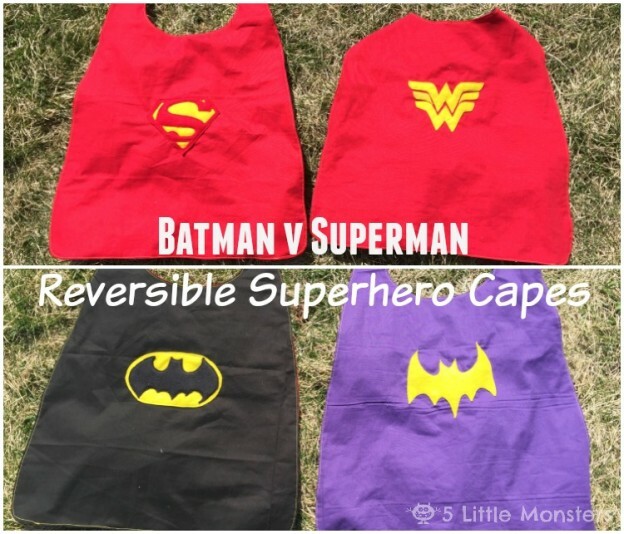 These kind of capes have been around forever but they are so easy to make and kids love them so they are one of my favorite gifts to make for kids, especially little boys. A few months ago I decided to share a pattern for how I make my capes over on the Geeky Mormon but I never shared the link here. When I originally posted the tutorial there it was right before Salt Lake Comic Con held their FanX event and I thought it would be an easy cosplay type option for little kids, in fact my youngest daughter wore one the day that we took the kids. Now with Comic Con next week, Halloween not too far away, and Christmas not long after that I thought it would be a good time to post about them again. 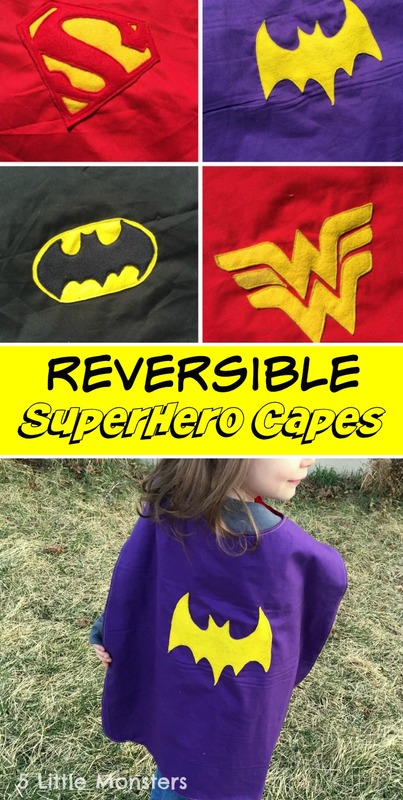 Batman and Superman is obviously the most traditional cape but my girls love superheroes as much as my boys do so I decided to make a girl version with Batgirl and Wonder Woman too. Maren loves her Batgirl cape, Batman and Batgirl are her favorite superheroes so she was really excited when I told her I was making her a cape. 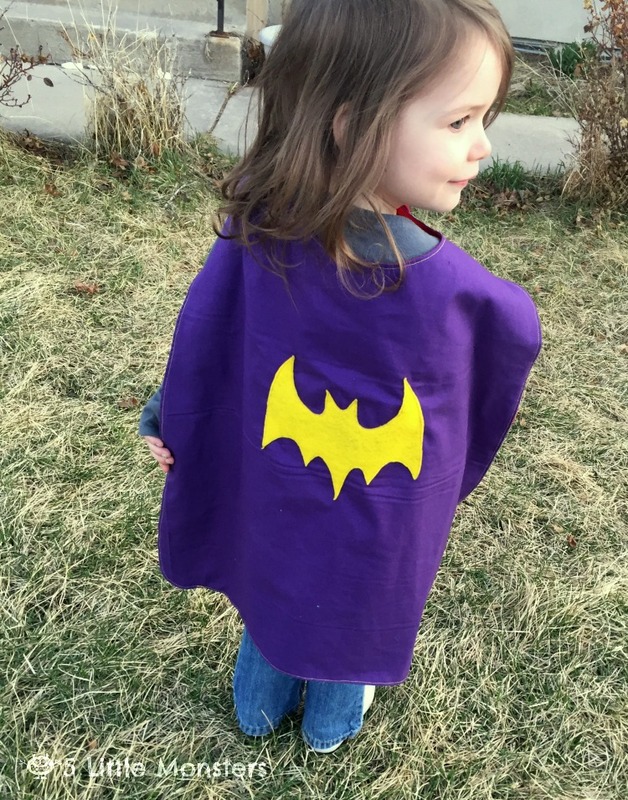 The day we bought the fabric for it she followed me around all day with the purple fabric saying, "you make my Batgirl cape now mom?" I hadn't planned on making it that day but she was so excited that I ended up doing it. She wore it around the rest of that day and several months later she continues to pull it out and wear it regularly. 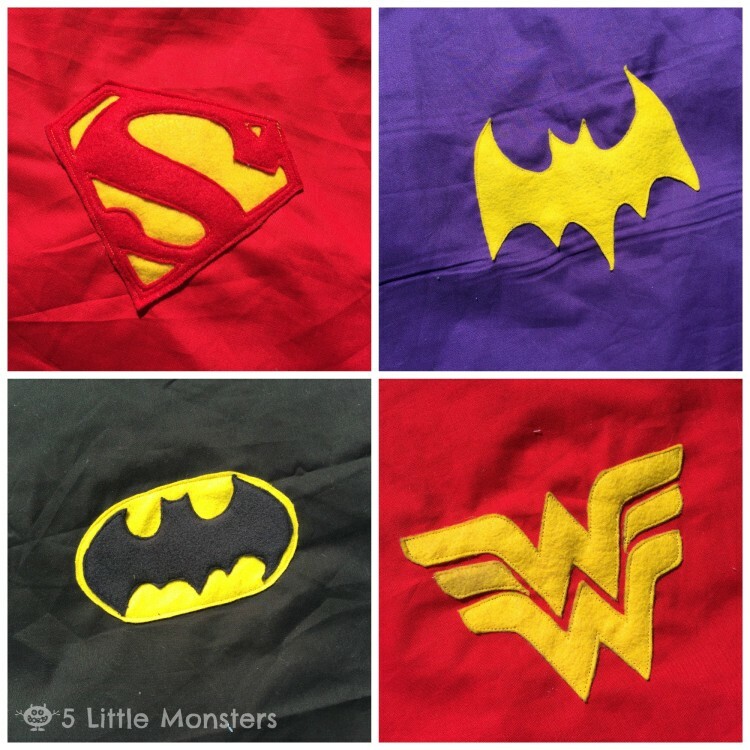 I have made these capes with just about every superhero symbol possible and even made up my own. One year for Christmas I made one of my boys a set of 3 capes which meant 6 different superheroes, 5 of them were regular superheroes and for one I made a SuperJak symbol, a Superman shield but replaced the S with his name. That was by far his favorite cape and he wore it all the time. 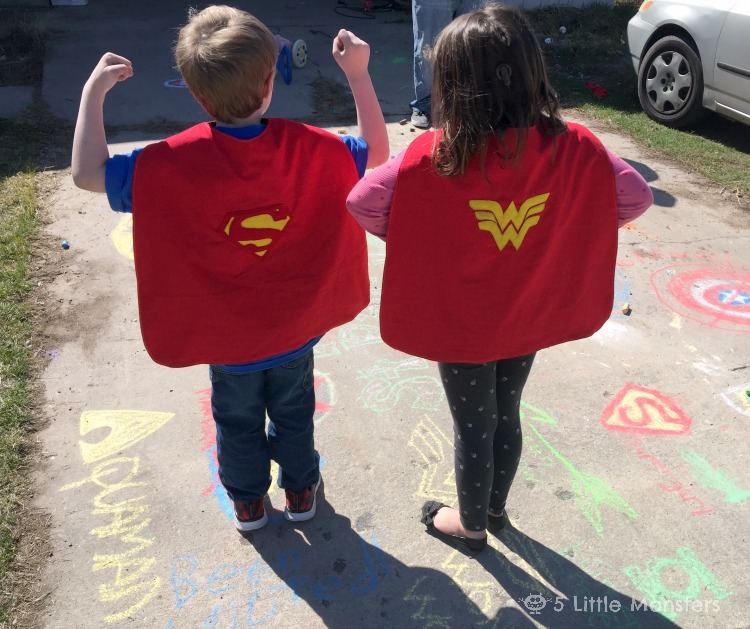 It is really easy to personalize the capes either by doing something like that or just making the child's 2 favorite superheroes. There is no reason why you have to stick with the traditional version. 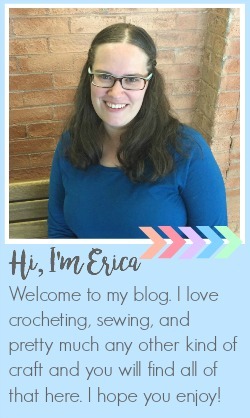 You can find my tutorial, including a printable PDF pattern for the cape and the 4 symbols I used, over on The Geeky Mormon.